Will you pass the Self-Evaluation test for Christians? Self Test: Will you pass? Gauging the health of our national economy is a difficult task. There are, however, a number of external indicators that will collectively give us a general idea. Some of these include the unemployment rate, interest rates and the number of new homes being constructed. When you average all the results, you will get a feel for how good or bad the economy is doing. It can be difficult to get an accurate picture of how good or bad we are doing as Christians. This is because our true spiritual condition is not something that can be seen with human eyes. God has said, "man looks at the outward appearance, but God looks at the heart". (1 Samuel 16:7 ) We can, however, get a general idea of our spiritual condition and our commitment level with 6 external indicators. They are the visible aspects of your faith that others can see. Jesus said, "you will know them by their fruits" (Matthew 7:20) Although other men cannot read your heart, they can get a glimpse of it by looking at the outward evidence of your inward faith in God. We are commanded by God to attend with the church every Sunday. "Let us not forsake the assembling of ourselves together as is the habit of some" (Hebrews 10:24). Our weekly attendance habits are the most obvious spiritual indicators that others see. When a newborn wakes up for the 5th time that night, the mother doesn't jump out of bed and say, "Oh Junior. I'm so glad you woke me up again. I haven't seen you in over 1/2 an hour! More likely she will grumble to herself, "My mother always said she would get even with me when I had kids of my own." Yet, although she would rather sleep in bed, the mother always attends to the baby. She gets up, not because she wants to, but because she is committed to the child in love. Her feelings tell her to stay in bed, but her commitment to the child makes her get up. This is the kind of commitment you must have to the Lord. When Jesus calls you out of bed Sunday morning to go the assembly, you might feel like sleeping in, but your commitment to Jesus makes you get up. In this way weekly attendance is truly an outward indicator of your commitment level. Your weekly attendance ? ? ? Romans 10:17 says, "Faith comes by hearing the word of Christ". Faith is not the product of some mysterious process. Rather it comes from the Bible as we read and study it. God speaks to us today through the scriptures. We can know God's will. There is no guess work, because He has revealed it in print. How much time do you spend with the Bible on a private basis? 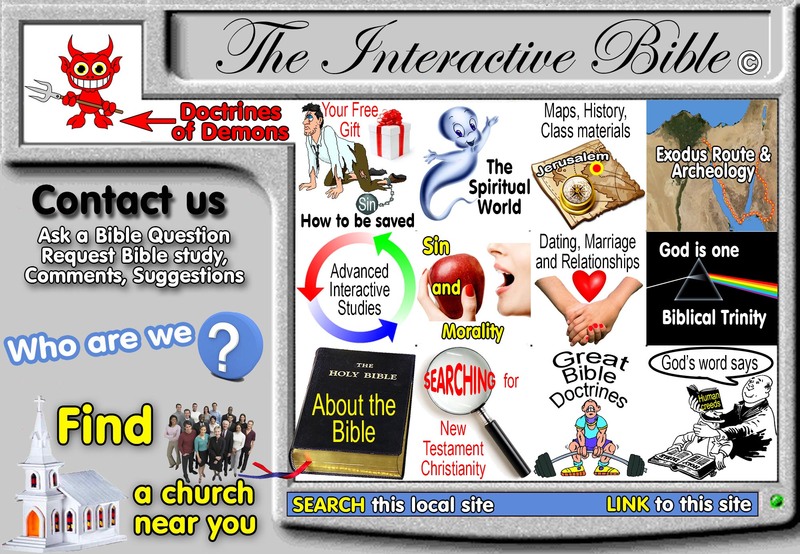 Do you study the Bible for in depth information? Do you read it daily just to keep familiar with the basic content of the scriptures? The time you spend with the Bible is an external indication of how much faith you have. Your Bible study time ? ? ? The New Testament describes the prayers of Christians as sweet smelling incense that rises up to the throne of God. (Rev 5:8) We communicate our innermost thoughts and feeling to God through prayer. How much time do you spend in prayer apart from giving of thanks at meals? Are you a sweet smelling fragrance to God? Your prayer life ? ? ? Fellow church-members may have nothing but praise for you. The true test, however, is how you conduct yourself in your home. You may be able to put on a false front for your neighbours, but your husband/wife & children see you as you really are. It is easy to put on a show of righteousness when you are in a crowd, but who are you when no one is looking? You may fool others, but you can't fool God, for nothing is hidden from His sight! Your moral conduct ? ? ? Evangelism is telling others about the Gospel of Christ. Most people think of evangelism as something that the preacher it paid to do. The Bible teaches, however, that every Christian has the responsibility to evangelize. "Always be ready to make a defence to everyone who asks you to give an account of the hope that is in you." 1 Peter 3:15 Do you openly talk to non-Christians about Christ? Have you been involved in at least one Bible study with a lost friend in the last year? Would you consider yourself involved in evangelism at all? Your outreach efforts ? ? ? "Now concerning the collection for the saints...On the first day of every week let each one of you lay by in store as he may be prospered." (1 Corinthians 16:1-2) Christians are under the obligation to give money into the church's treasury every Sunday. Money is a touchy subject because it is closely connected with the material things we desire most. It represents the most tangible form of self sacrifice. The Bible teaches that Christians should know in advance, the amount they will give. In practice, however, many merely give the loose change in their pockets when the collection plate is passed. They simply "tip" the Lord. The reason people do not give to the church as God expects is found in 2 Cor 8:5. "They gave themselves first to the Lord then to us in keeping with God's will." If you have "given yourself" to God, you will have no problem giving generously of your finances. The amount of money you give each week relative to your ability, is an external indicator of how committed to God you are. Would you describe yourself as a sacrificial giver? Your weekly giving ? ? ? In conclusion, the question we have been asking is, "Have you given yourself first to the Lord"? Really, that is the issue we are talking about. Your level of commitment to the Lord is a matter determined within your own heart. But the six things we have talked about here, are external indicators of your spiritual level of commitment. 2 Cor 13:5 "Examine yourself to see if you are in the faith, if indeed to pass the test." How did you do as you examined your faith as other men see it?